UNIQLO introduces its fabulous “Spring/Summer 2013” Collection - Hello! Welcome to my blog! February 7, 2013, Manila, Philippines—It’s revolutionary innerwear that is set to transform the way you feel this summer. 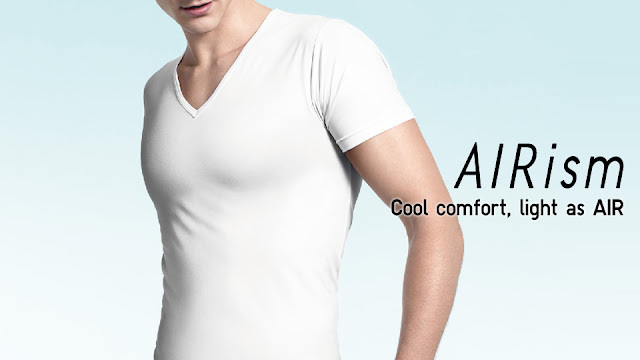 Hailed as “Summer’s answer to HEATTECH,” AIRism has been developed with leading fiber technologists, TORAY Industries, as a cooling, comfortable, and essential “can’t do without” item for summer. The quick-drying functionality of the garment ensures refreshing comfort by quickly releasing and dispersing excess moisture, while the stretchability of the fabric allows for a perfect fit conforming to the body. The use of ultra-fine fibers in the material has been added to ensure a smooth and silky feel.